Why is my arm censored? The shogunate has sent the roshigumi an excellent ‘solution’ for their lack of troops and Kodo Yukimura appears with the Ochimizu. 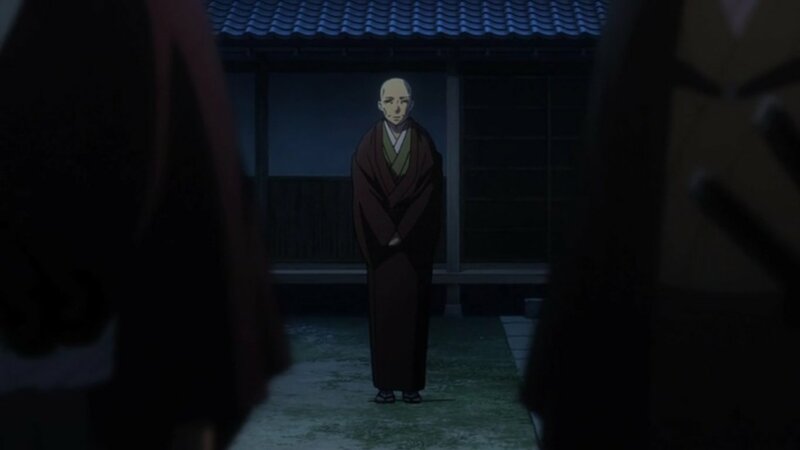 Everyone else waits for Hijikata, Kondou and Sannan to return and hears a scream. They go to investigate and is attacked by a person with super fast regeneration. 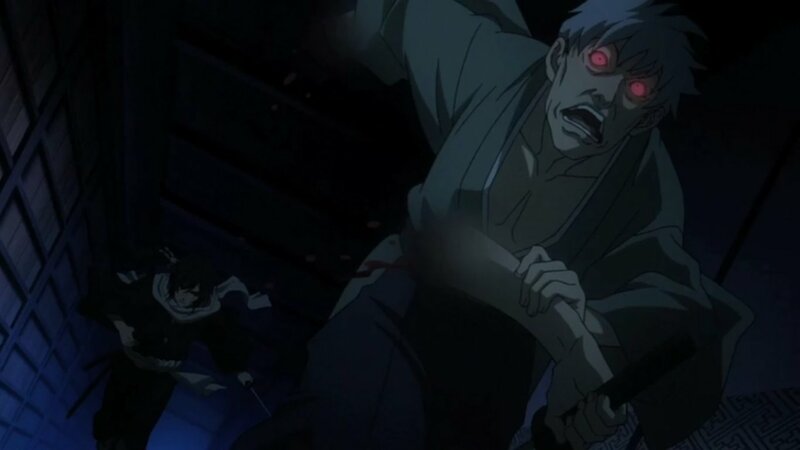 Hijikata jumps in to kill it by piercing its heart. One of two ways to kill it, another is beheading. They bring everyone together and explain the Ochimizu, how it reduces the drinker to insanity but gives him regeneration and improved fighting power. The shogun basically is asking them to be test subjects. Of course no one is happy, but there’s nothing they can do. The rogue samurai’s base is in Osaka so Serizawa and Kondou select a few capable men and set off to earn some extra credit. Ibuki stays behind. The group who went to Osaka comes back, but something’s wrong. 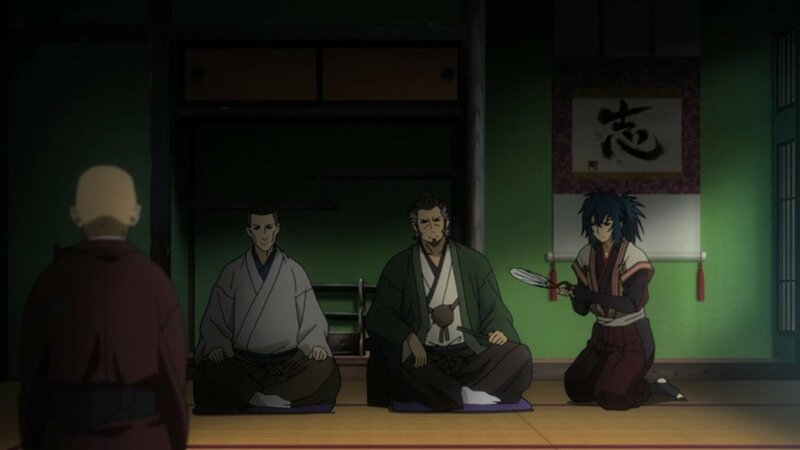 Sannan reports that they ran into some sumo wrestlers, started a fight and Serizawa and Okita cut them all down. And again, Ibuki demonstrated his uselessness, no surprises there, took his sword out but stood there like a pig to slaughter. Also he had yet another opportunity to have some development when Serizawa and others went to Osaka, but that was over in less than an episode. Thought this was the start of something big, who was I kidding. So anyway, we see the true value that the shogun has placed on the Roshigumi, nothing more than lab rats by the looks of things. Probably saw this as the perfect opportunity to test out his new toy from the foreign lands as he knows the Roshigumi will have no choice but to obey. 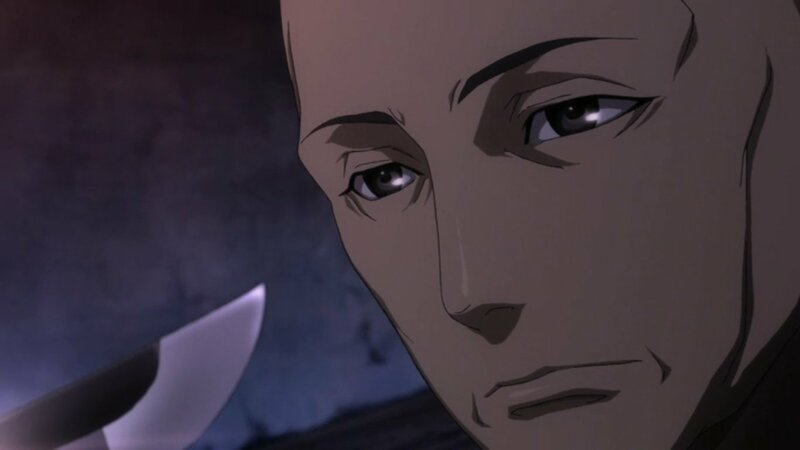 But by the looks of things, it won’t get any better with Serizawa and Okita cutting down people as they please. No real better than the rogue samurai who pillage from anyone, probably worse. As I understand, sumo wrestling is the national sport and sumo wrestlers are considered like royalty or something. I’m not sure if that’s the case back in that period, but either way, killing people at random just for starting a fight can’t be good. Less bloodshed is always better, and they didn’t even kill any rogue samurai. Well either way, things aren’t looking good for anyone. They’re now lab rats and not doing themselves any favours with Serizawa’s recklessness in charge. But who cares, Yukimura’s appeared! I was wondering if he’d show up at all, wasn’t sure how far back this prequel is. So this is how it all started then, as a drug of sorts to reach new heights of power. I hope for some more interesting developments then. 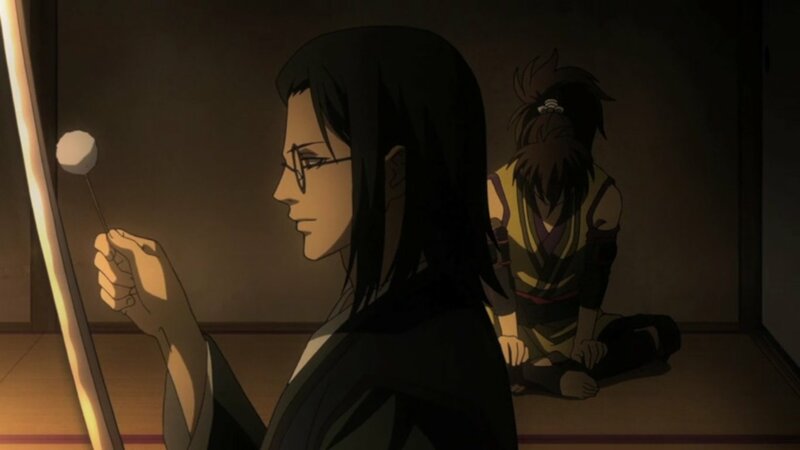 I wonder how this sumo massacre will sit with the shogun and Hijikata and how this Ochimizu will develop from here to lead up to the original storyline. 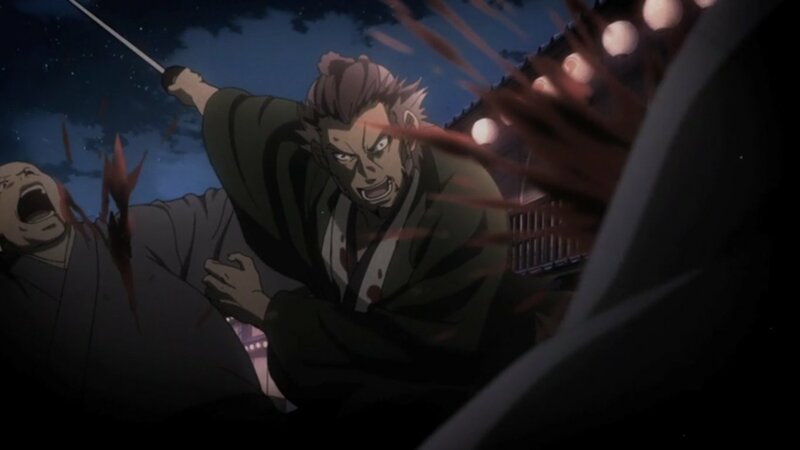 I’m predicting Ibuki will probably take the Ochimizu once it’s near ‘perfection’ as he wants more power, but then go insane and is cut down by the newly formed Shinsengumi.